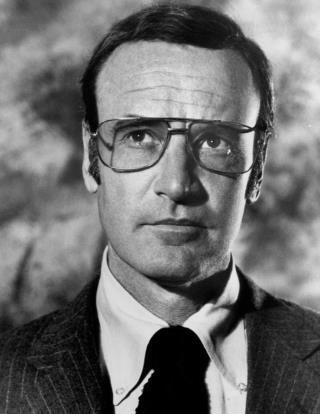 (Newser) – Richard Anderson, the tall, handsome actor best known for costarring simultaneously in the popular 1970s television shows The Six Million Dollar Man and The Bionic Woman, has died at age 91. Anderson died of natural causes on Thursday, family spokesman Jonathan Taylor tells the AP. The Six Million Dollar Man starred Lee Majors as astronaut Steve Austin, who is severely injured in a crash. The government saves his life by rebuilding his body with atom-powered artificial limbs and other parts, giving him superhuman strength, speed, and other powers. Anderson played Oscar Goldman, Majors' boss at the government spy agency the astronaut went to work for after becoming a cyborg. Classic TV, Six million dollar man was the bomb. Anderson also played a civil war doctor who found immortality in the "Night Strangler." Another face from the best times of being an American. Glad to hear he lived a long life! When I guest starred on Fall Guy, he was so polite, kind and funny, joy to a soul who has gained his wings. Good flying, fellow actor, be free. in the light AngelTompkins Golden Globe Nominee. Hello Lee, be well.